Preheat your Yoder Smokers YS640 to 225ºF. Smoke the brats until the internal temperature reaches 160ºF (use an instant read thermometer like the Maverick PT-100). Cool to room temperature. Dice the bratwurst. 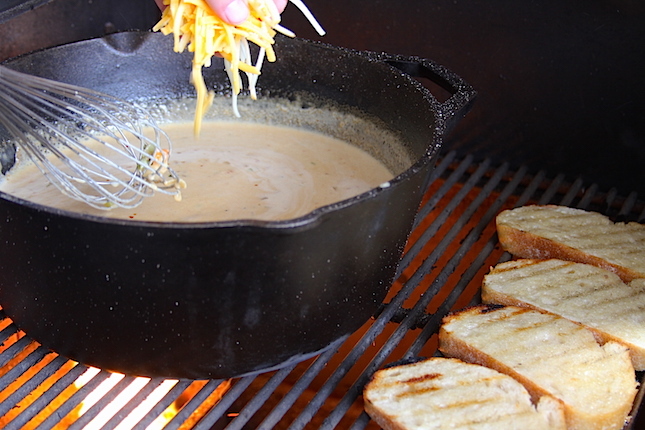 Increase the heat to 400ºF and place a Lodge Logic Dutch Oven in the cooker. Melt the butter in the dutch oven. Add the carrot, celery, onion and jalapeño and cook until softened. Add the garlic and Cattleman’s Grill Tri-tip Seasoning and cook one minute. Add the flour and cook, stirring constantly for about 2 minutes. Slowly whisk in the chicken stock. Once all of the chicken stock is whisked in, add the beer and cream. Bring to a simmer then whisk in the cheeses, a handful at a time. 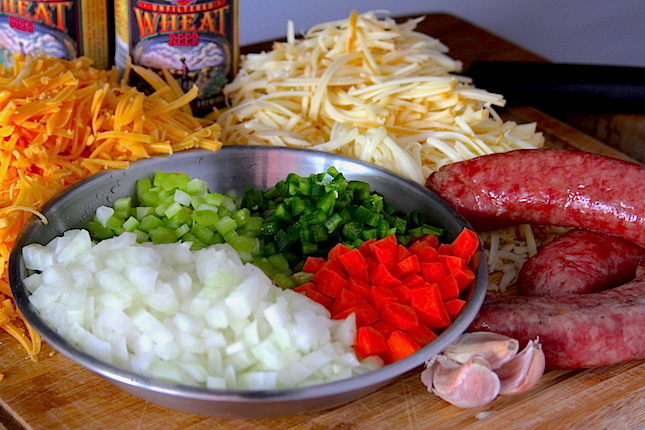 Stir in the sliced bratwurst. Taste and season with salt and pepper as desired. Serve with toasted bread. Who’s ready for Fall? Sweater weather, football and changing leaves! And what better food to invite Autumn than soup? 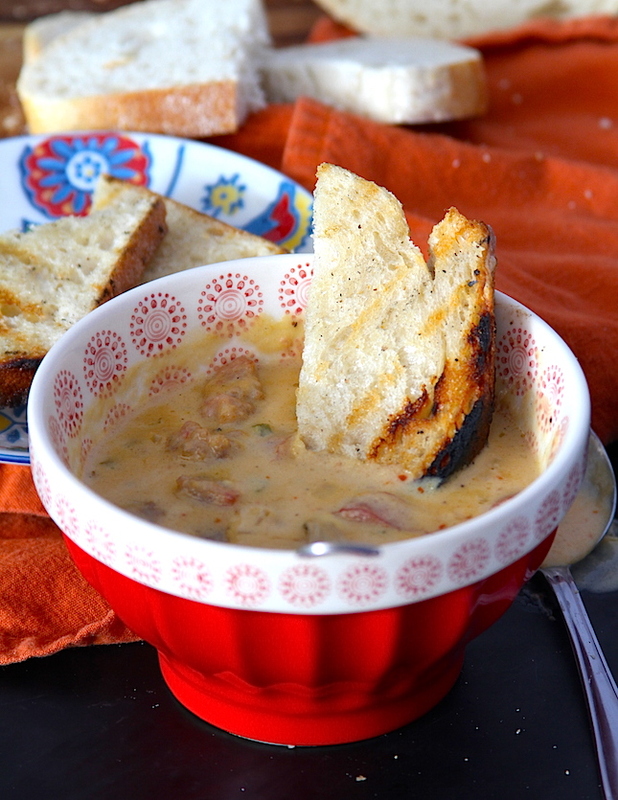 Not just soup, but beer, cheese and smokey bratwurst soup! We’re sharing the recipe now (though you won’t want to wait), so that you’re well prepared for the first weekend of football, just a couple of weeks away. 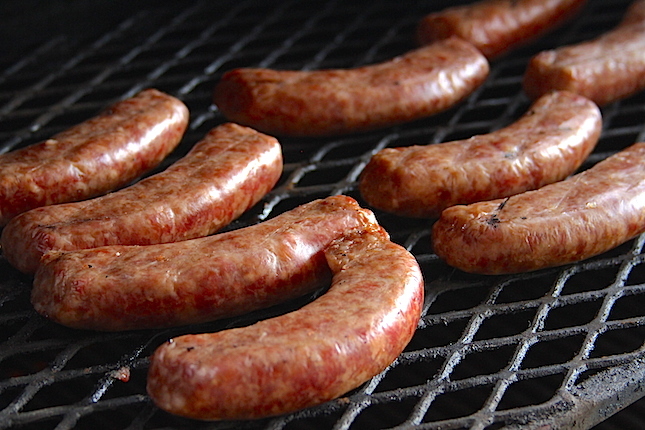 Smoking the bratwurst adds a little extra smokiness to the finished dish, though you’d be fine grilling them, as well. Choose a beer you’d enjoy drinking (you’ll only need a third of your six pack), but one that’s not overly assertive. If you use something like an IPA or stout you’re definitely going to taste that flavor, so keep that in mind. We used Boulevard’s Wheat beer.